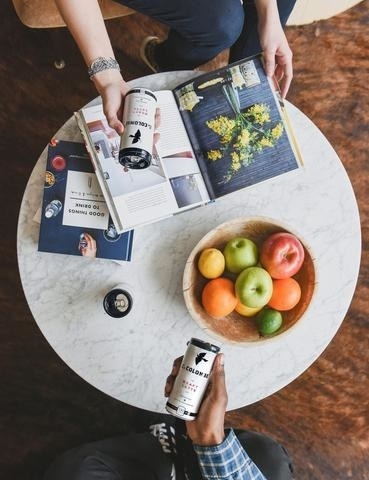 A mobile espresso maker, reaaally good canned iced lattes, caffeinated chocolate, and more to satisfy your caffeine needs on the fly. 1. 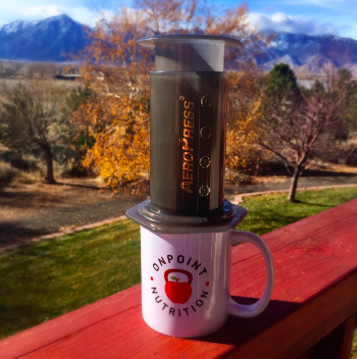 An AeroPress you can fit over a coffee mug and take with you to work, camping, on vacation, or most anywhere for delicious coffee when you need it, you want it, oh baby. It's also phthalate- and BPA-free! S/o to my coworkers Bill and Tabitha at my old job for using these and tipping me off to their wonderful existence. 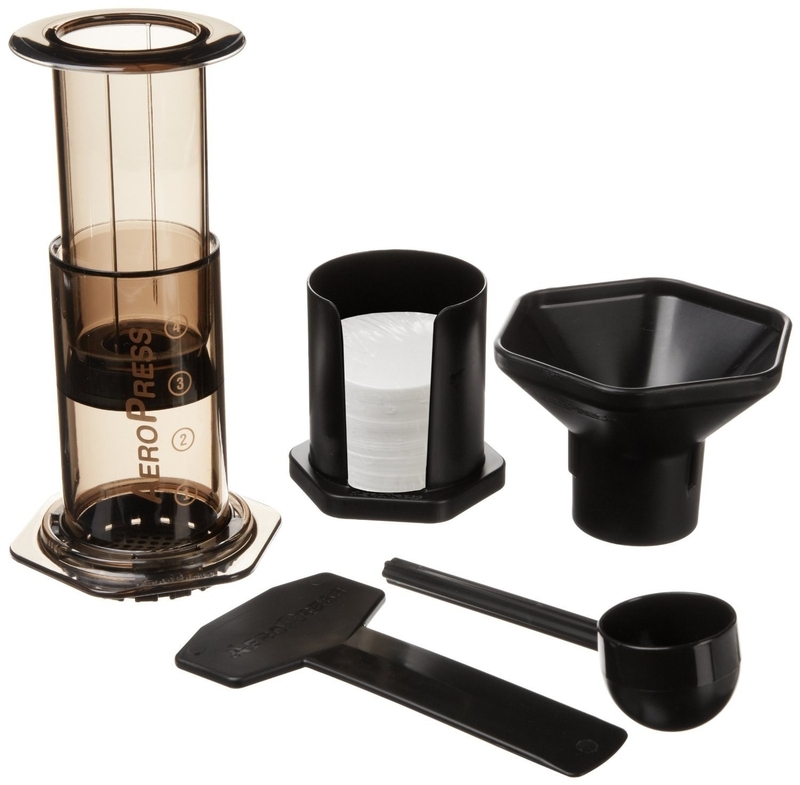 And if the below review doesn't convince you check out my full writeup on why the AeroPress is fantastic. 2. Or a travel coffee press minus the grit and grime for caffeine devotees who don't have the time for a coffee machine to drip into a travel mug before they head out the door! It makes 10 oz. of coffee and holds 15 oz. BPA-, BPS-, and phthalate-free. Get it from Amazon for $32.90+ (available in seven color combos and also with a tea press). 3. A single-serving maker that'll easily fit over your regular (or travel) mug if you'd rather not bother with anything nearing a fancy contraption. Brews a single cup of coffee to any desired strength, in as little as 30 seconds. 4. Reusable coffee pods can fit most Keurig machines so you can rest assured that your fave coffee will be in your hotel room... because you brought it! Get four from Amazon for $9.95. 5. And a cult-status coffee grinder you could travel with in case you need freshly ground beans every. single. time. It isn't tiny but it isn't HUGE, so you can pack it for your travels! Promising review: "We have a 12 year old Krups grinder that is still working well and wanted another one for our camper. We were delighted to find the same model. The current version has a shorter cord (I like that) and my husband thinks the blades are better. But that could be because our old baby has been working hard for a long time. The old one will travel with us in the camper and we are thrilled with the new one for our kitchen. Love that it now comes in black, too! Super product for a great price." —A.J. 6. Vietnamese coffee pour-over packets with everything you need (they require zero refrigeration) so you'll be set while camping, taking that road trip, whatever! Each kit includes the pour-over holder, coffee, and shelf-stable sweetened condensed milk. Get a five-pack from Amazon for $14.99. 7. A pair of Contigo travel mugs to keep your brew toasty and INSIDE the mug 'til you're ready to pour it down your throat. Why? Because it automatically seals between sips! The double-wall vacuum-insulated stainless steel keeps beverages hot for 5 hours or cold for 12 hours. Get them from Amazon for $22.49+ (available in six color combos). 8. Or perhaps a magnetized self-stirring mug that'll fit in your car's cup holder if you're someone who likes a little coffee with your cream and find the stuff settles once you get stuck in traffic. Just know that you won't be able to drink out of the mug when the lid is on! Get it from Amazon for $15.99+ (available in three styles). 9. An iced coffee tumbler because this is a judgment-free zone when it comes to whether you like the stuff year-round. You do you! OK, but it also comes with a lid for sipping hot drinks, too. Get it from Amazon for $17.99 (available in a variety of colors and patterns). 10. And a Disney-centric reusable cup because you run on only two things, magic and caffeine. Get it from The Love of Pixie Dust on Etsy for $18 (available in six styles with the option to add your name). 11. Caramel macchiato creamer packets in case you've been foiled one too many times by a coffee shop or office lacking in your preferred stuff. I'M JUST SAYING, these will fit in your TSA-approved toiletries bag. Get six boxes with 24 creamers each from Amazon for $15.90. 12. Or some powdered coconut milk if that's your coffee creamer of choice. Get a 12-pack from Amazon for $19.66. 13. 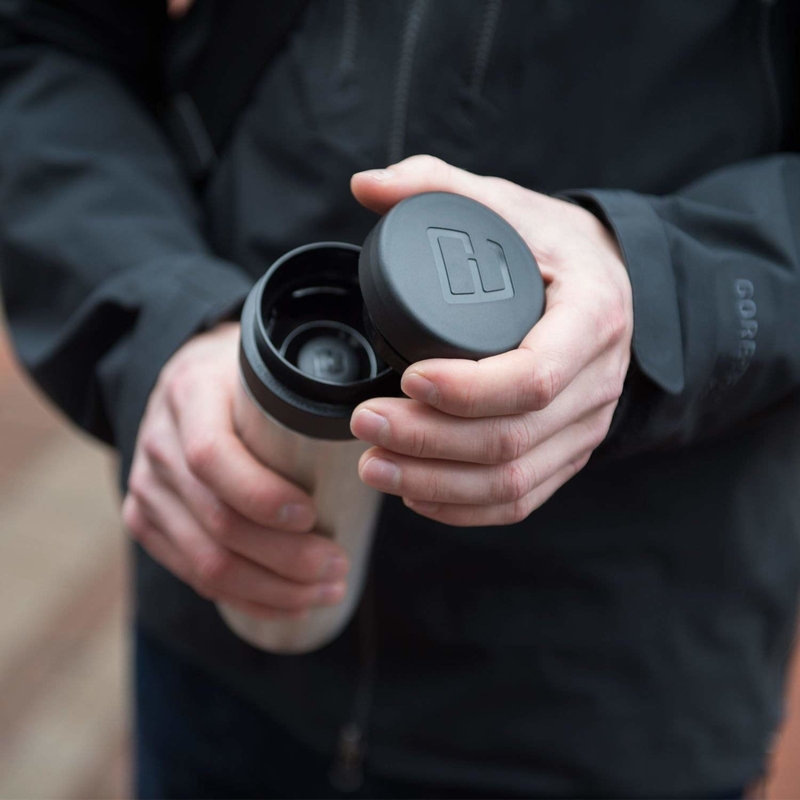 A vacuum-insulated mug that'll fit in so well with your outdoor aesthetic that you should prob invest in a few to keep with your camping gear. It's100% leak-proof with a slider lid and keeps beverages hot for 5 hours, cold for 10. Get it from Amazon for $12.24+ (available in five colors). 14. A compact single-capsule coffee maker in case the last time you brought along your own K-cups to your hotel, you were stuck with a traditional coffee maker. Get it from Amazon for $39.99 (available in seven colors). 15. And an assortment of K cups so you're never left wishing for your faves in groggy moments of desperation. Get 40 pods from Amazon for $23.74+ (available in several flavors and size combos). 16. Or a travel-friendly maker with a travel mug and a permanent filter for having your brew on the go without worrying about creating a bunch of extra waste. Get it from Amazon for $22.49+ (available in seven colors). 17. Powerful coffee shots it'd be a good idea to keep around for when you can't bring yourself to do anything else but gulp down a shot worth two cups of coffee. These things are delicious and STRONG. Get six from Amazon for $11.95 (available in chocolate latte, vanilla latte, or a variety pack). 18. 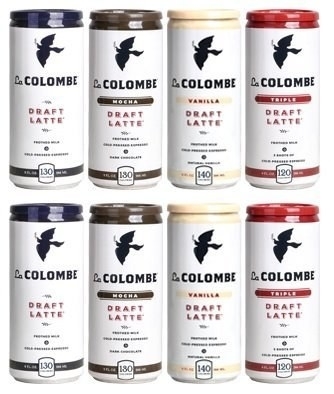 Or La Colombe iced lattes – they're what I buy on the go when I need some coffee really quick and find myself at a gas station or drugstore. They're SO GOOD. Get an eight-pack of four flavors from Amazon for $26.99. 19. Caffeine-infused chocolate you can throw in your bag in case of emergency. Ya' never know! Promising review: "I am a working mom with two very active young children. Sometimes I nap when they do, just because I'm so exhausted after hanging out with them all day. I would always wake up from the nap groggy and miserable, and I'd try to drink a cup of coffee or a soda, only to have it upset my stomach. Now instead of that, I eat half a bar of this chocolate and I feel absolutely fantastic the rest of the day! It has definitely made taking a quick nap worth it for me." —John S.
Get 12 bars from Amazon for $19.99 (available in milk, dark, or caramel).